Posted on June 14, 2014, in Creationism, Education, Politics, Religion and tagged Accelerated Christian Education, Alice Roberts, Christian Education Europe, Creation Science, extremism, Fundamentalism, Jonny Scaramanga, Maranatha, NARIC, Ofsted. Bookmark the permalink. 19 Comments. Where is this anti-science movement coming from? These throw-backs are certainly happy with their mobile phones and other electronic wonders! It looks to me as if they prove the point; evolution is a two-way street, and these zealots are devolving! Where are they coming from? From the US; Young Earth creationism was almost dead in the UK until revived by way of “creation science2, from which this borrows, a US invention, and biblical fundamentalism which is largely a US import but also getting support from home-grown throwback inerrantism. Definitely from the US, particularly the southern US where I grew up. My parents tried to expose me to multiple points of view, and saw no harm in enrolling me in a private Evangelical school that used A Beka and ACE. There was an unforeseen consequence, however. I had loads of really good books on human history, astronomy, dinosaurs–all kinds of wonderful science stuff. I watched Bill Nye The Science Guy religiously. But–and this is a very big “but” from my perspective, especially at the time–none of these sources ever mentioned whether any of their authors or creators was Christian. So I assumed they were atheists, because that was the only option left open to me by the ideology promoted in my textbooks. My parents had expected me to have questions about the whole YEC thing. But because nobody that I knew to be Christian decried YEC around me, I didn’t think there was a question to be asked. I had no reason to doubt the textbooks, which basically encouraged me NOT to ask questions. This meant that I was a YEC until I got to college (a Baptist college, no less!) and the intro to biology teacher looked at me like I’d grown another head when I said that evolution was a lie made up by atheists. Not only did I make myself look like a complete idiot in front of the whole class, I felt betrayed by my school and my parents. I had been taught a lie. I suppose it only makes sense that I’m still a bit bitter about this. Schools in the US, the UK, and other countries–some of which are funded by tax dollars! !–are still teaching this dreck, and teaching children that they have a monopoly on truth. The capitulation of the (or rather, of some) Evangelicals is understandable; John Houghton and the recently expelled Steve Chalke are among the honourable exceptions. The failure of the education authorities to diagnose a malignant metastasising cancer, as in the way Ofsted and NARIC have treated ACE, is without excuse. 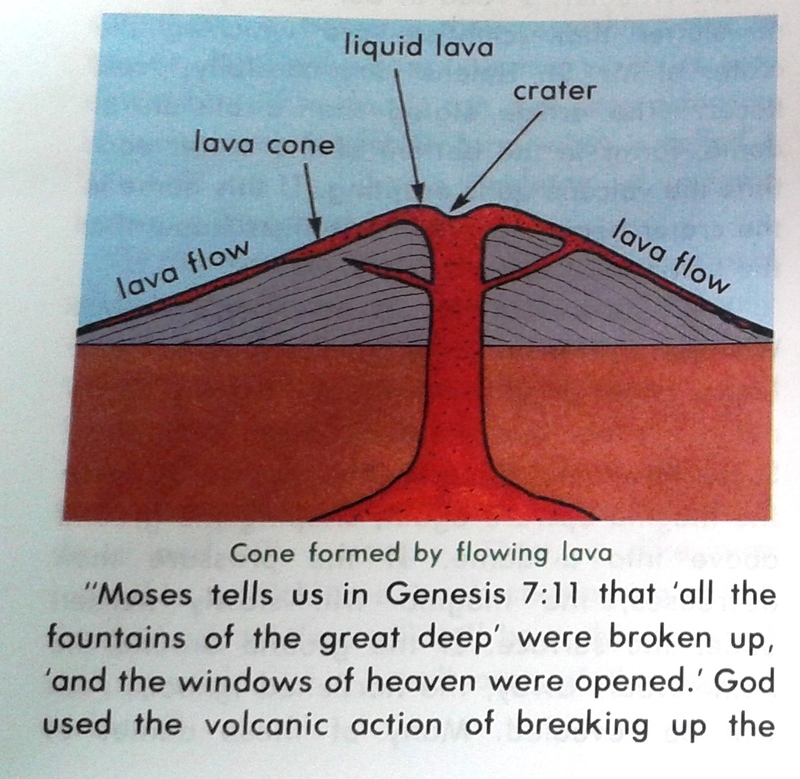 Although ACE teaches things that are arguably more extreme than even the mainstream young earth creationism of CMI, the ICR and AiG I certainly do not recall many instances in the last four years or so at least of them criticising ACE dogma or teaching methods. I listened to the interview. I have some experience with ACE. I honestly did not know it was used outside of the US until I came upon the Leaving Fundamentalism Website. The curriculum is under no circumstance, “good”. I’m baffled at how it couldn be rated as such. We do have a serious problem when nonsense is validated as acceptable education. Scientific integrity is essential, this threatens to undermine science education in the UK and abroad. Thanks to Paul for this analysis. This is not Christian – frankly it’s evil. I can only agree, and wish more Christians realised this. In Scotland 1/2 hour later. Either way, 29 minutes into the programme. Available on iPlayer for another 6 days. I think the whole discussion is amusing if only that it takes place through a medium, the Internet, that uses principals tested through scientific theory. Discount one, you have to discount the other. In other words, such people are often sitting in front of the very thing which can disprove them.